Made from 100% natural ingredients, this liquid dietary supplement is custom blended to help promote the healthiest skin and coat! 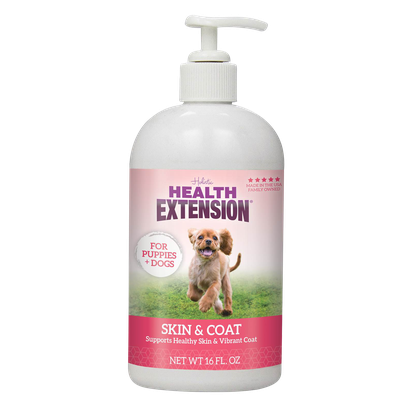 Health Extension Skin & Coat is rich in Omega 3 and 6 fatty acids, which are essential for supporting supple skin and a glossy coat. A pump or two over food every day helps prevent dryness and itching while reducing shedding by up to 70%.